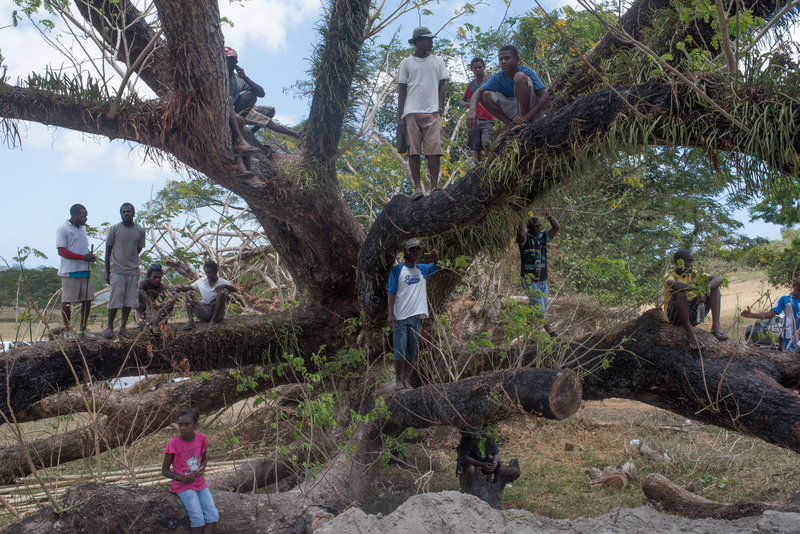 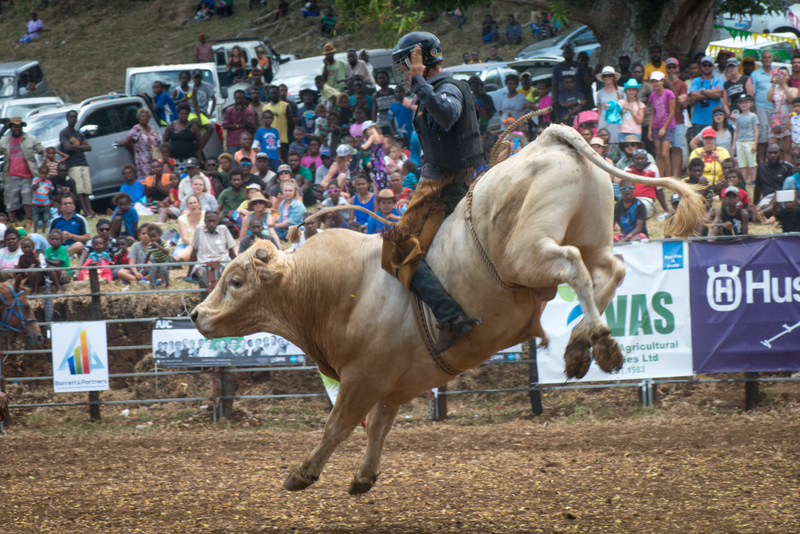 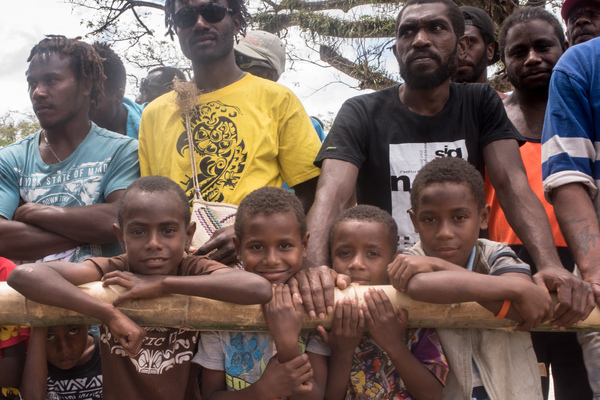 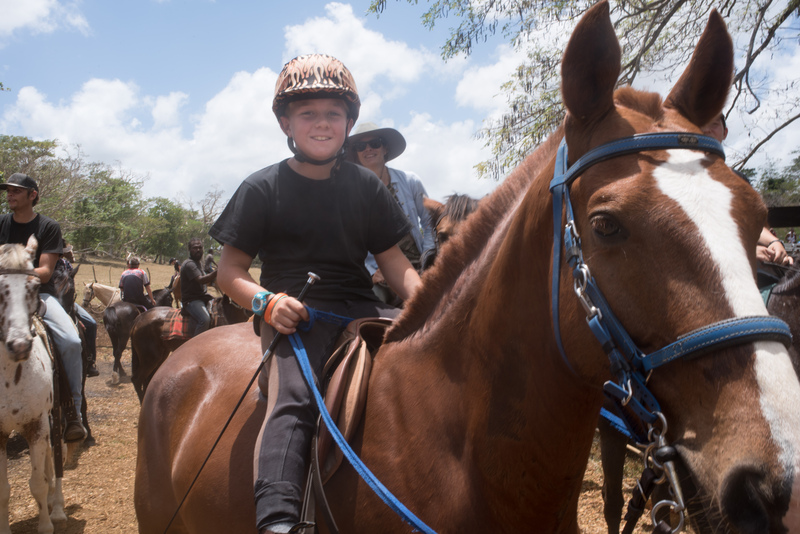 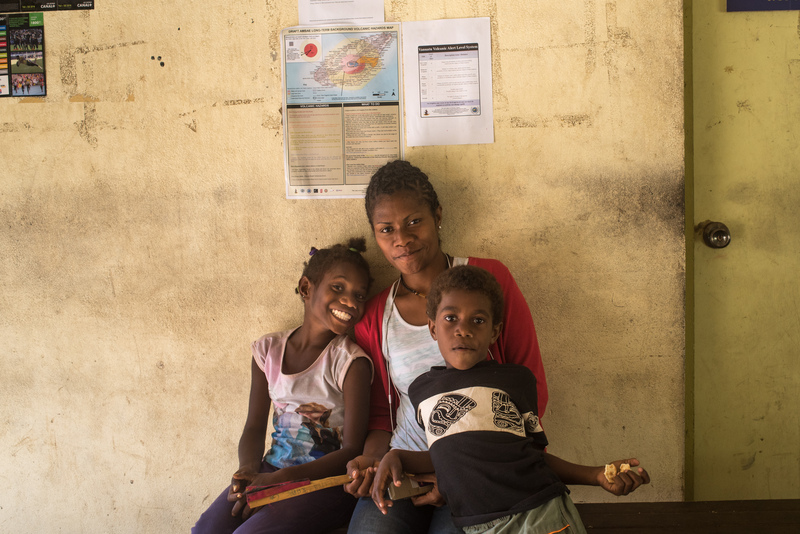 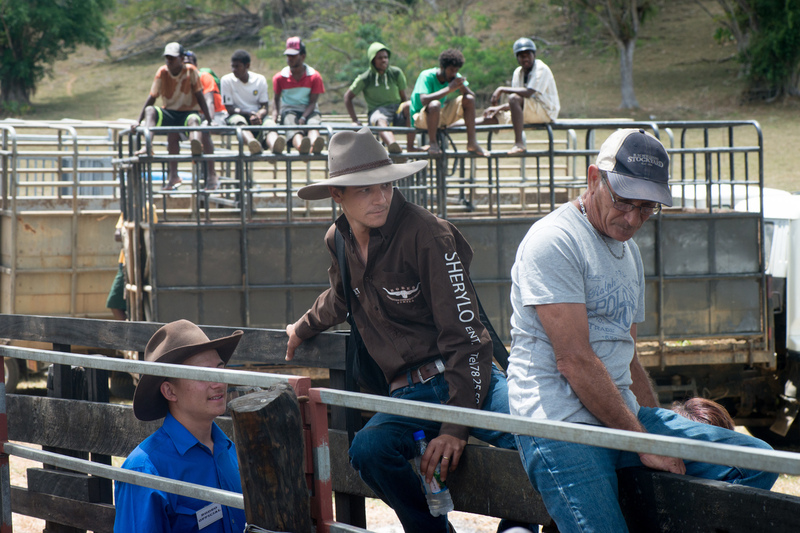 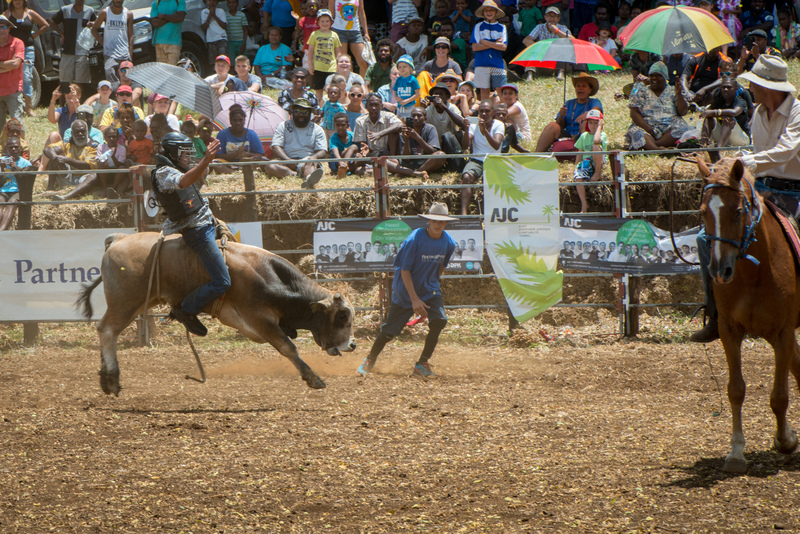 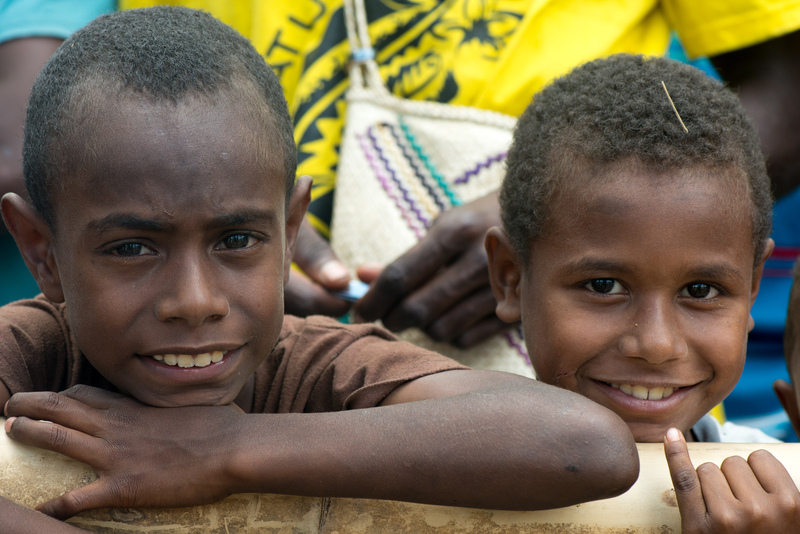 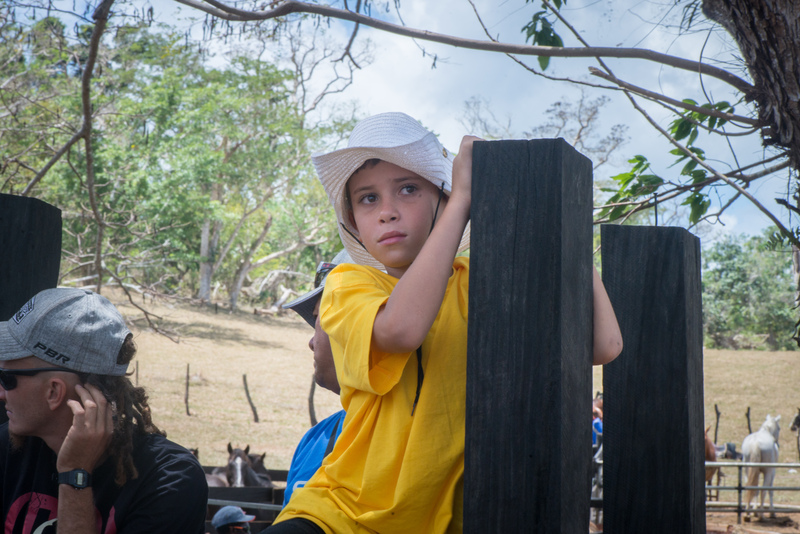 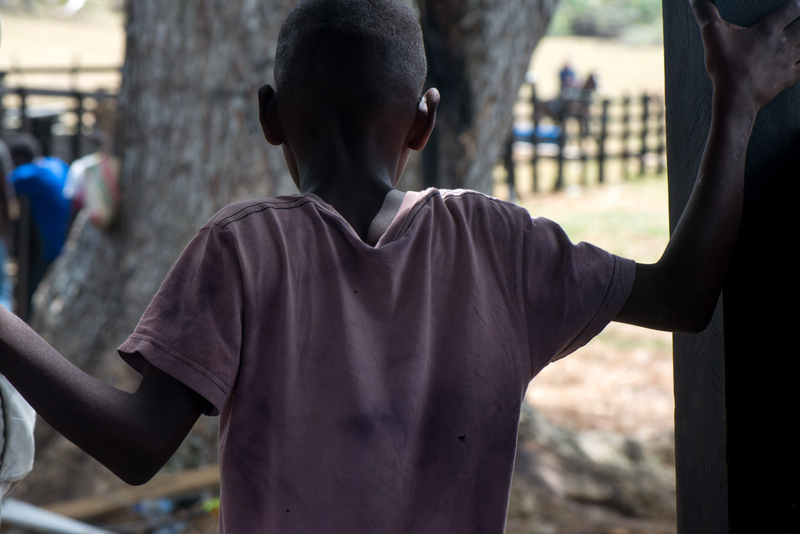 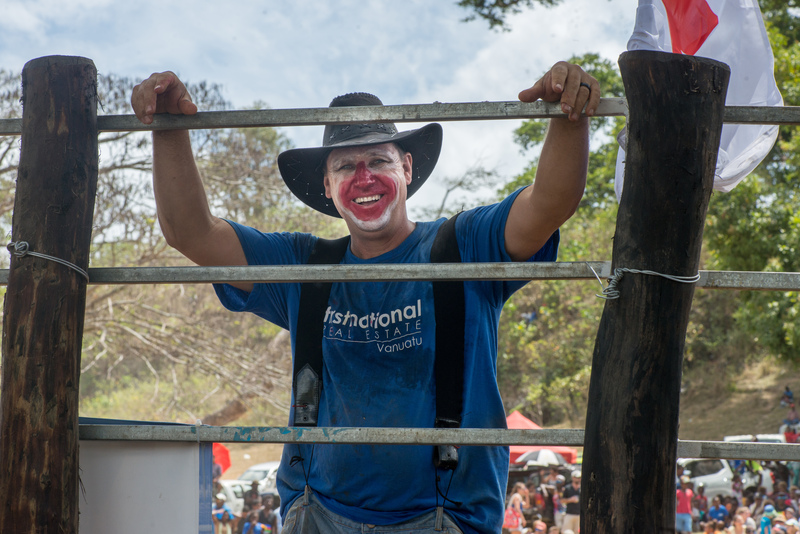 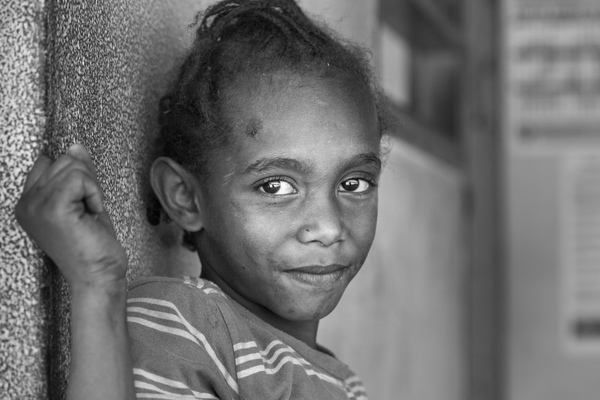 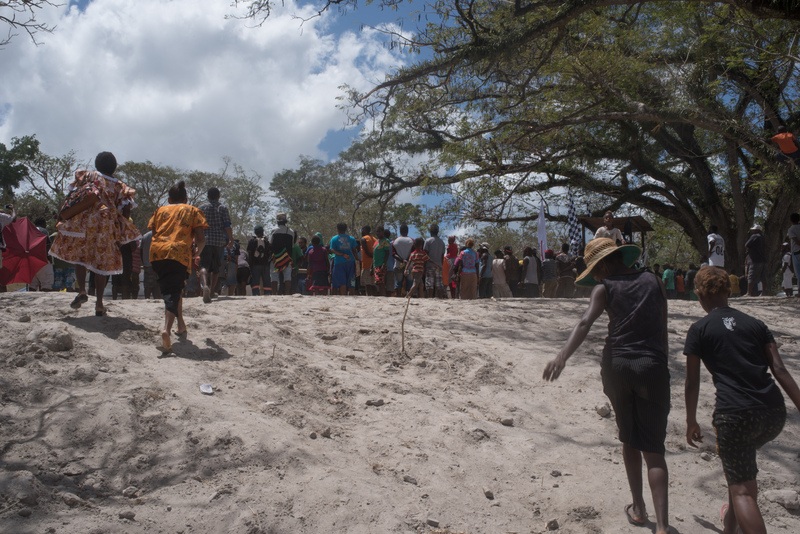 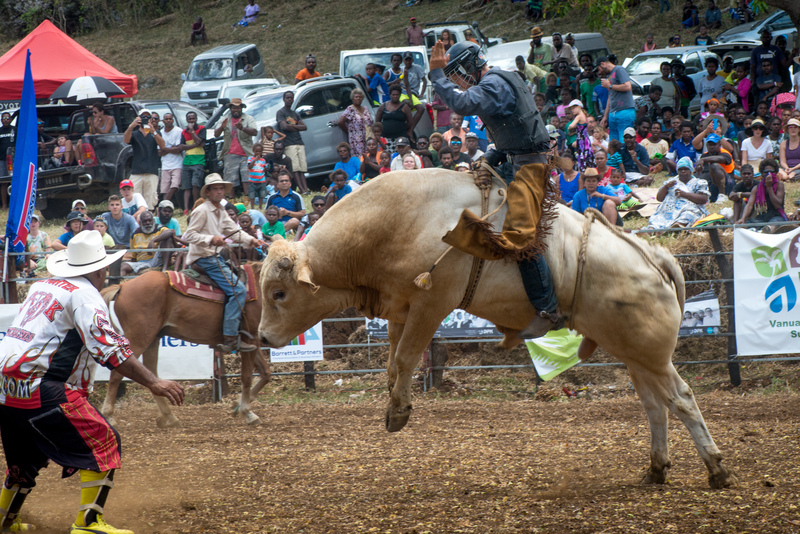 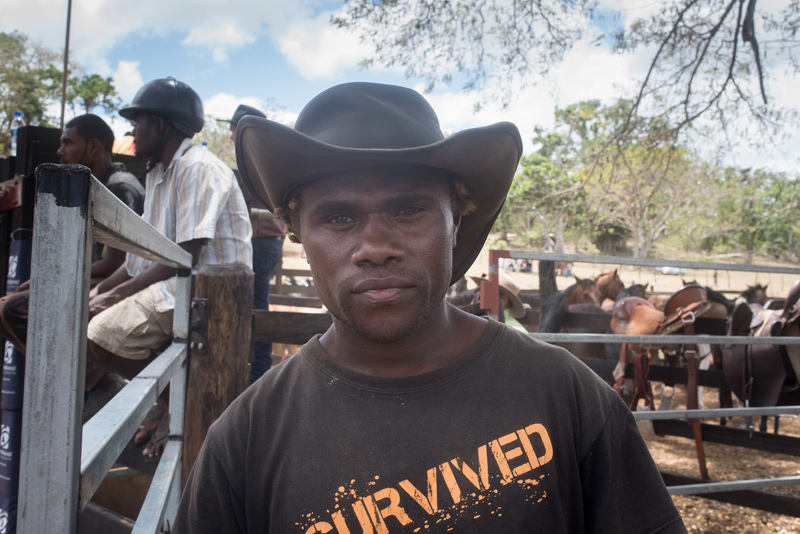 Fun and excitement on the first day of the 2017 edition of the Port Vila Rodeo. 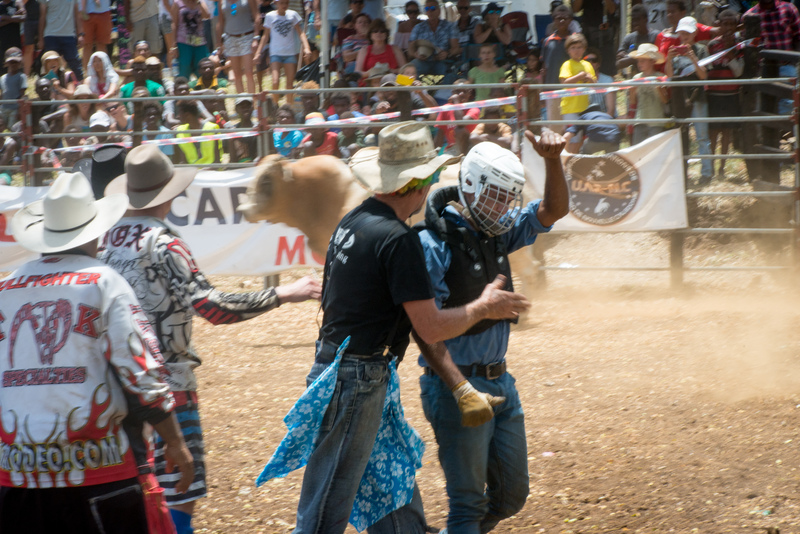 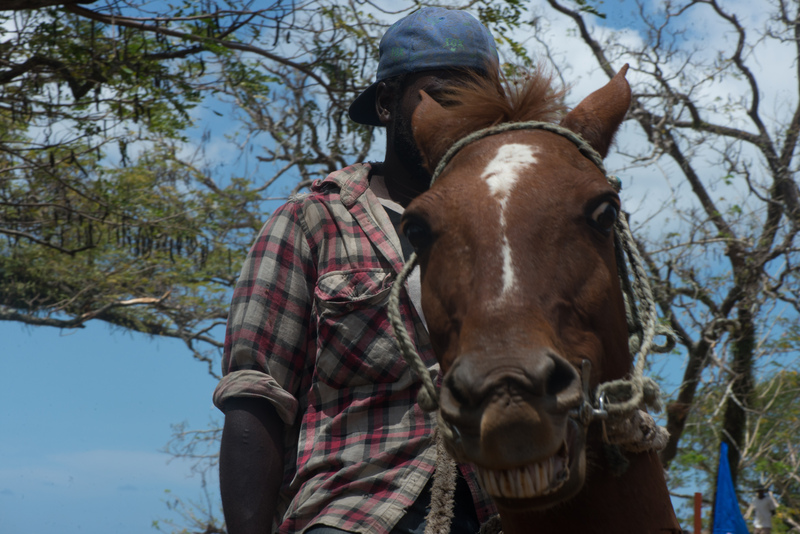 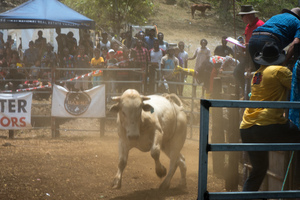 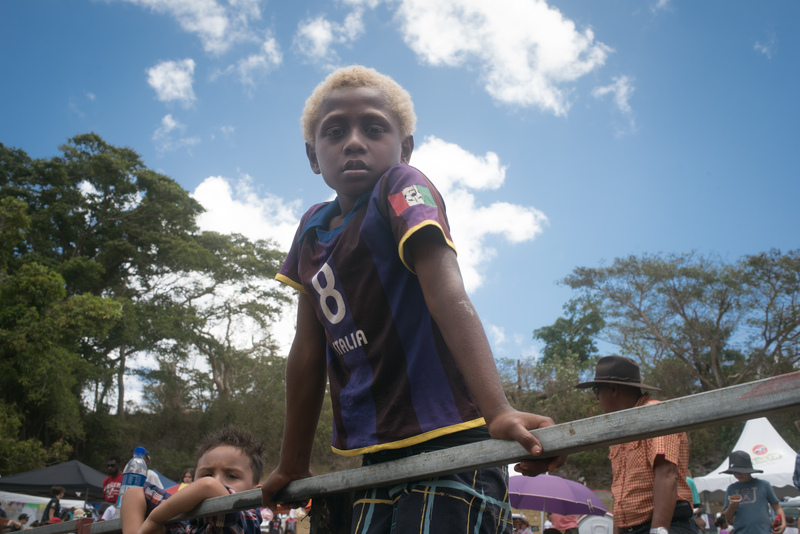 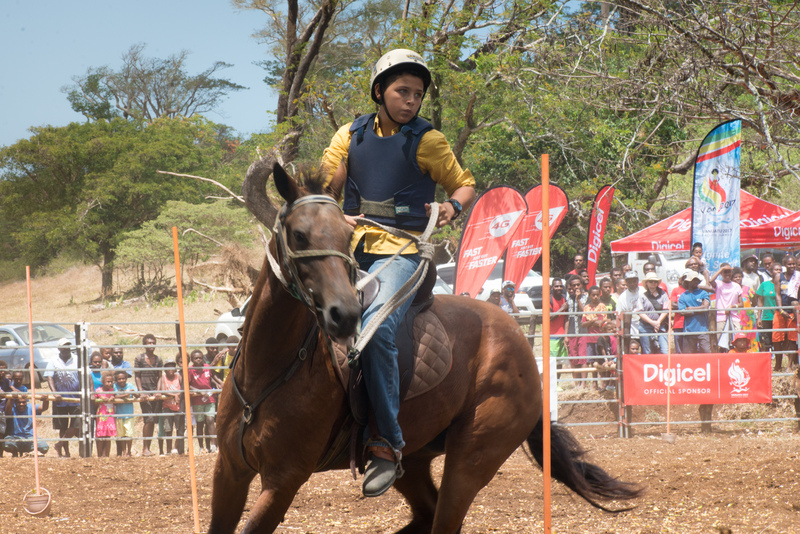 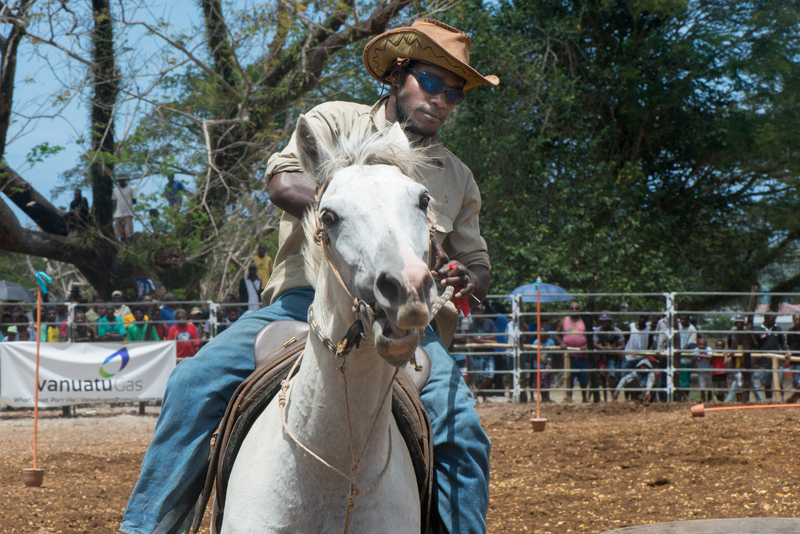 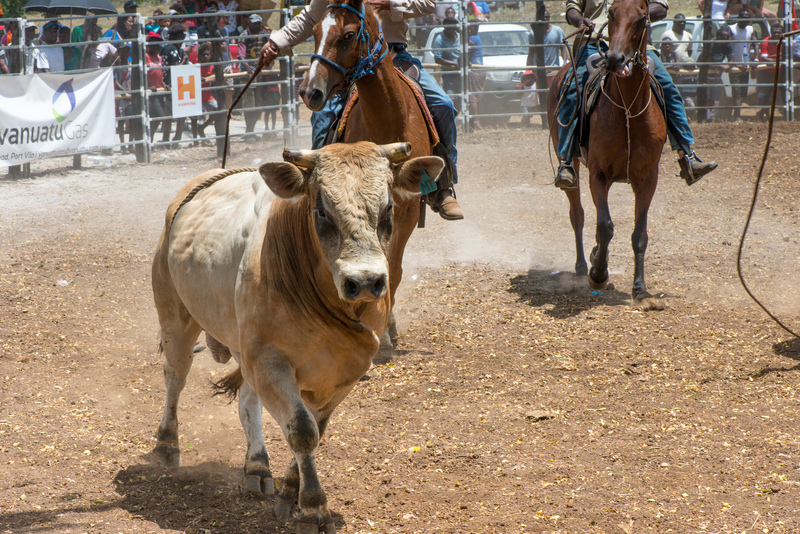 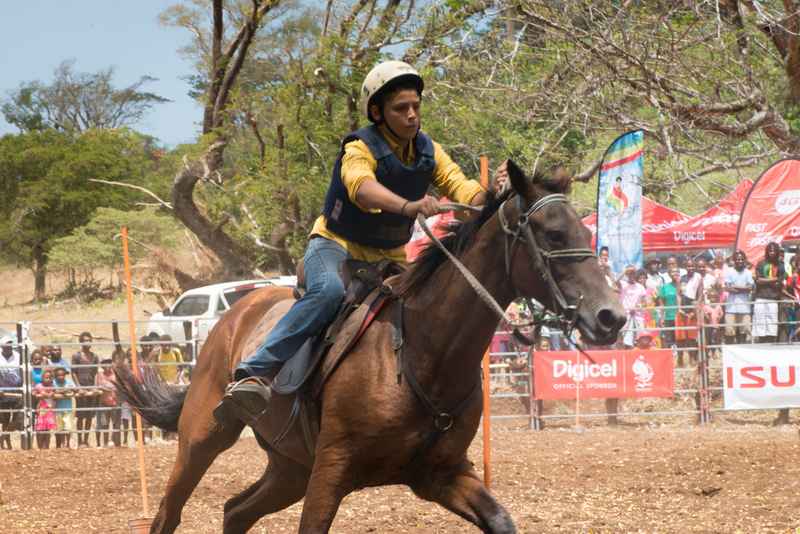 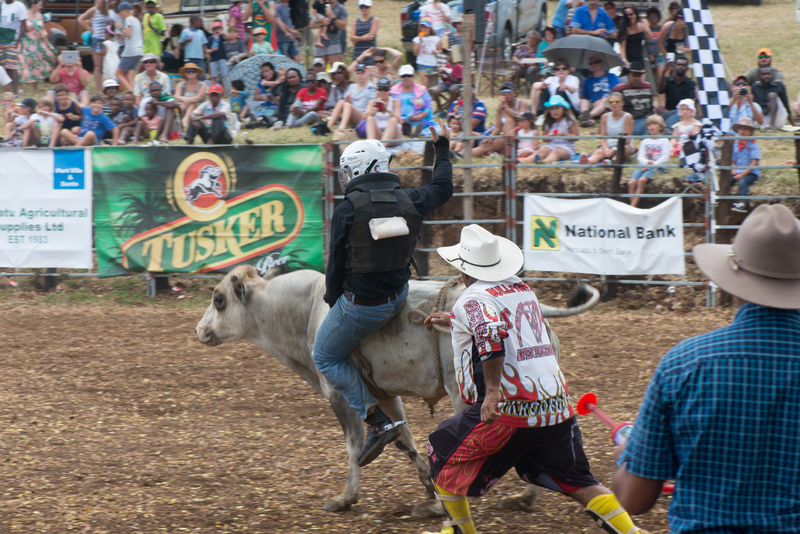 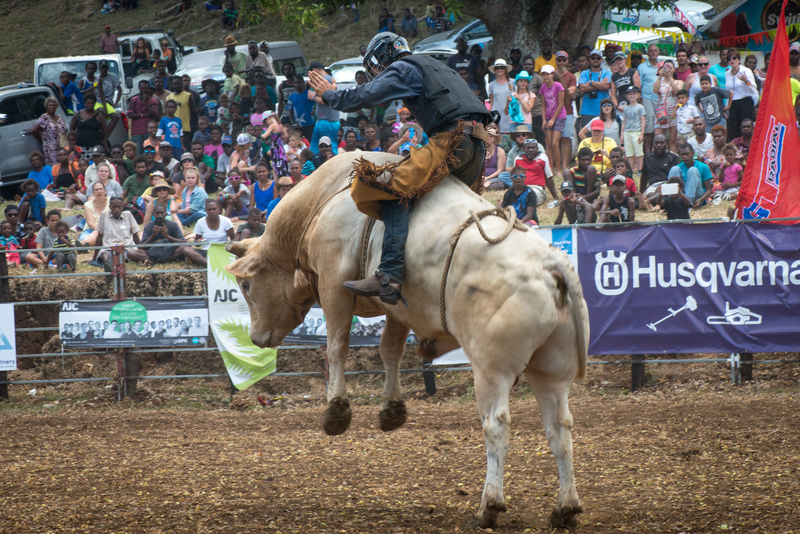 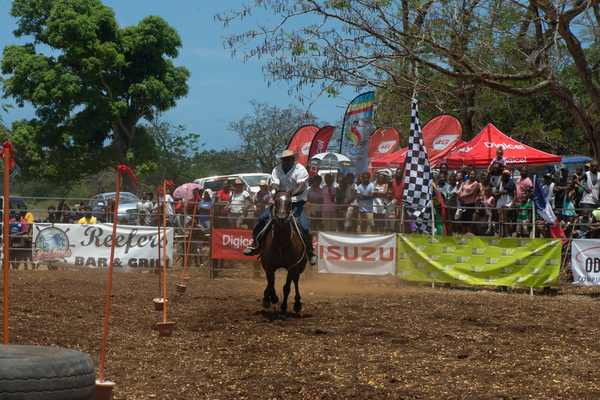 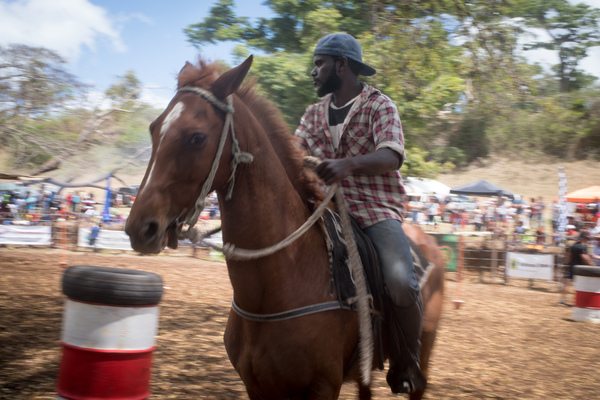 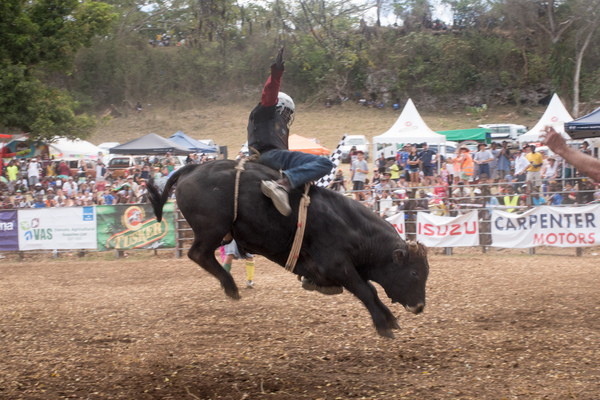 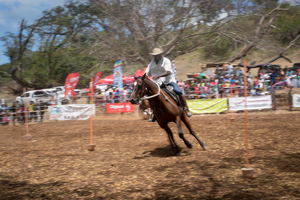 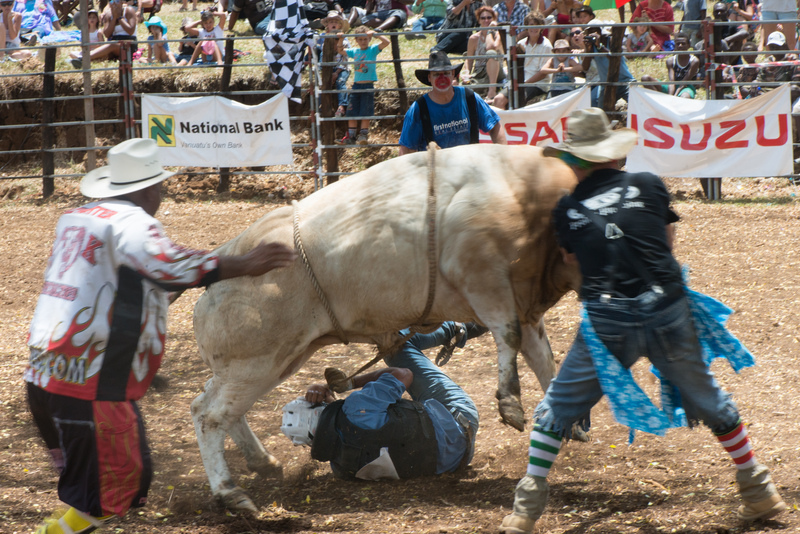 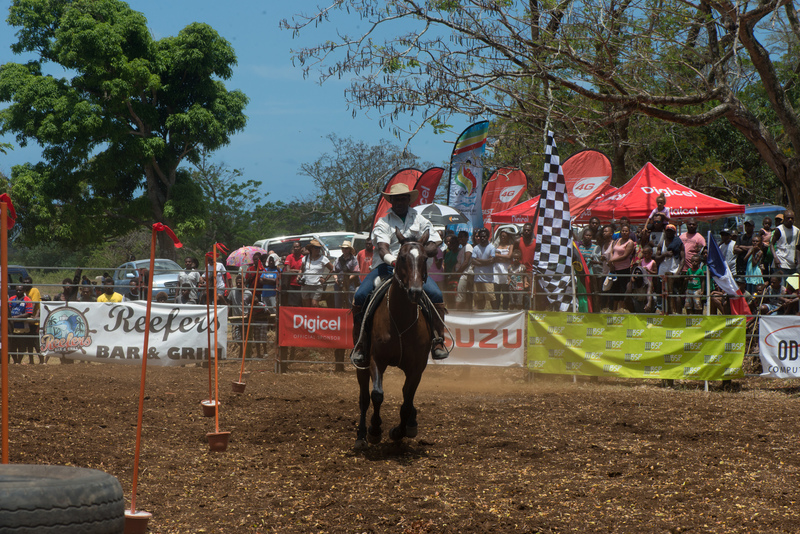 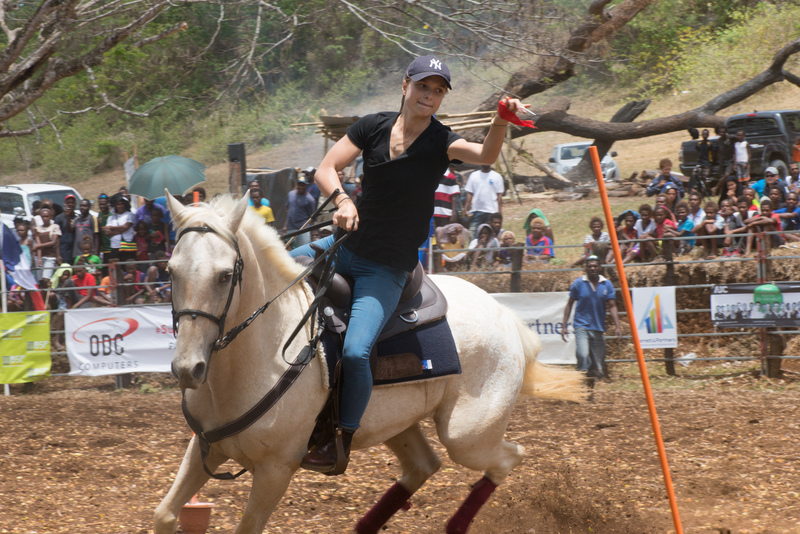 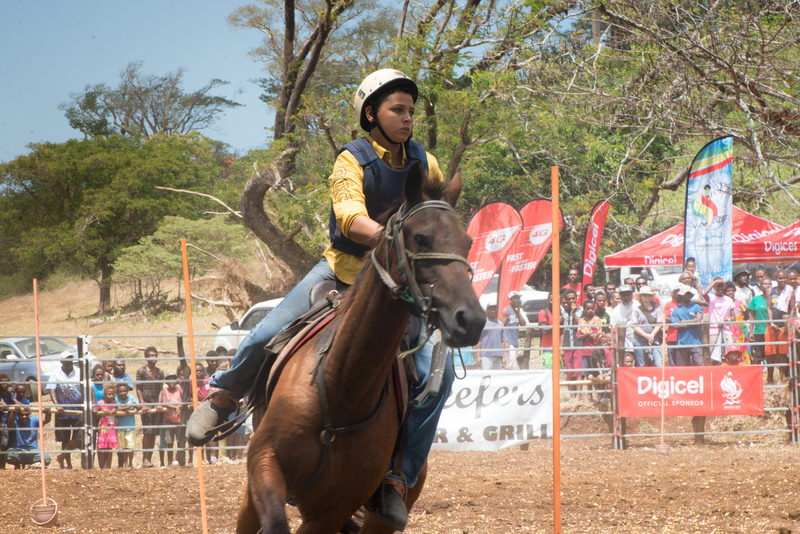 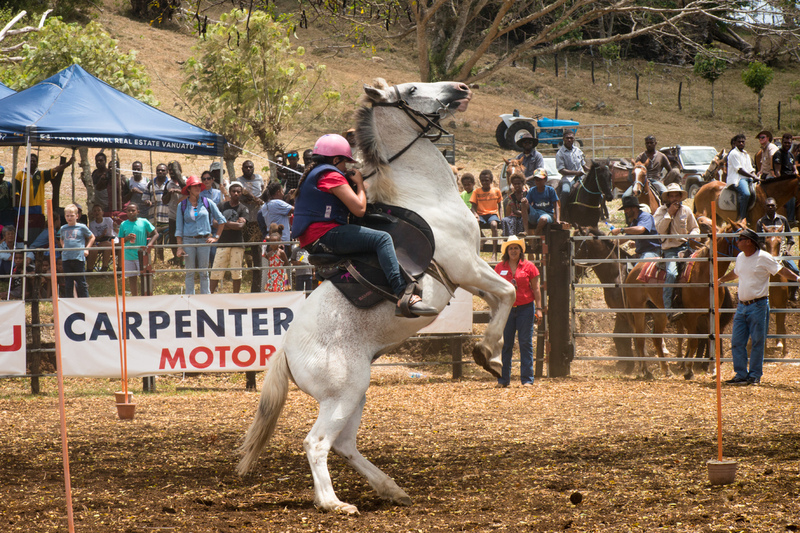 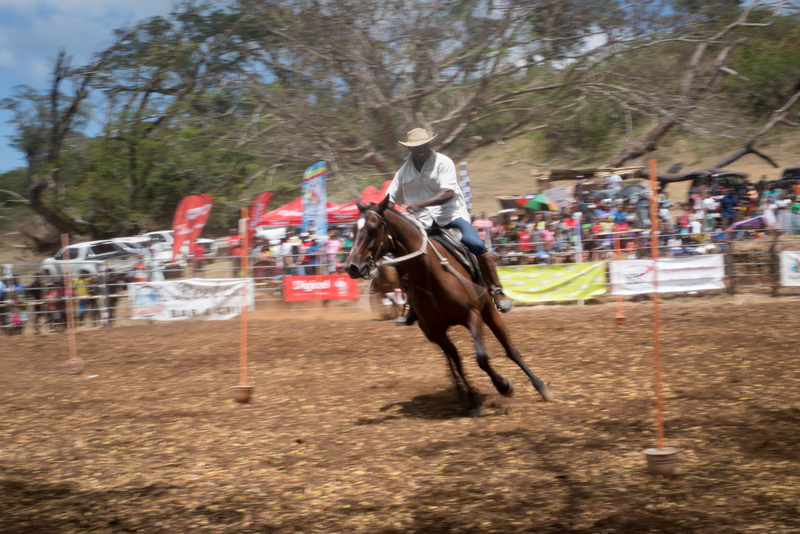 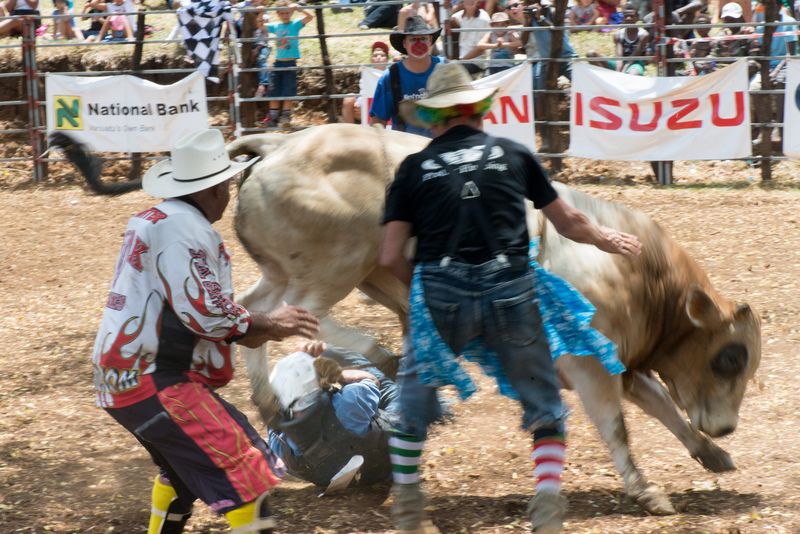 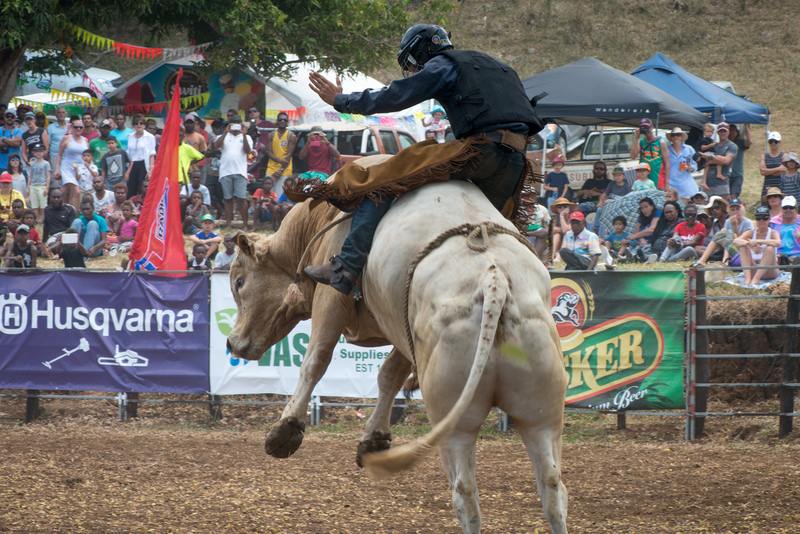 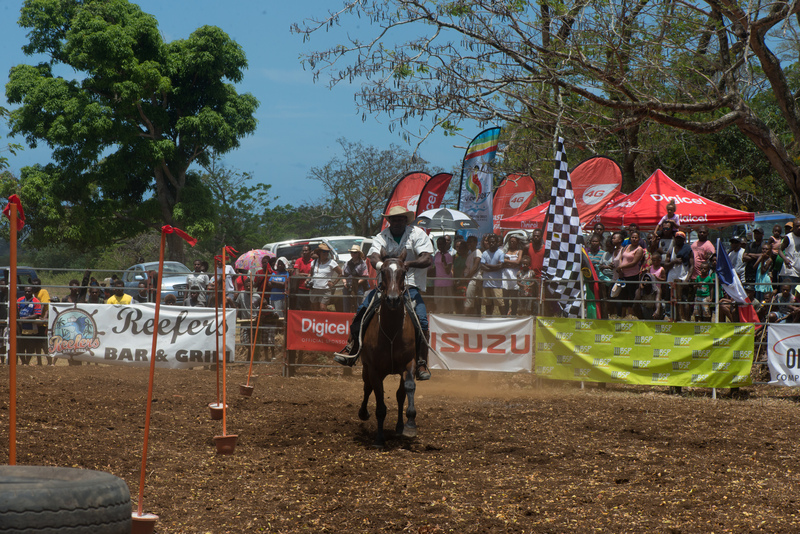 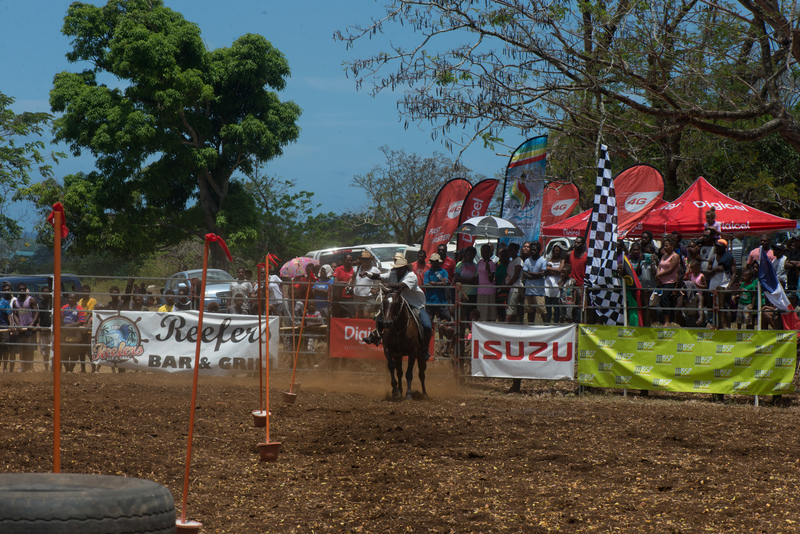 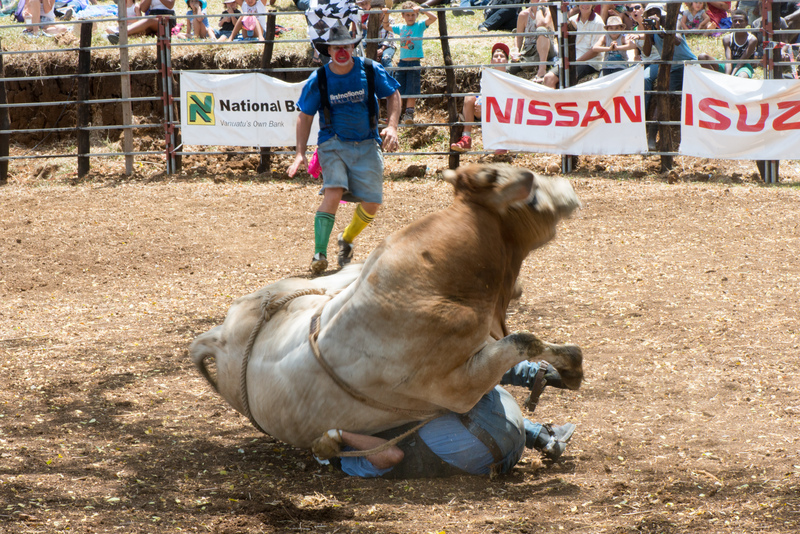 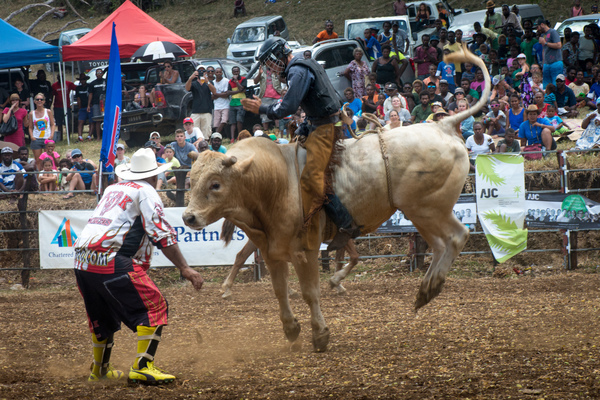 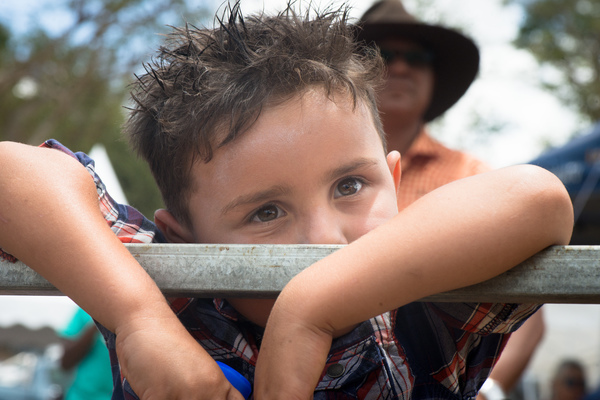 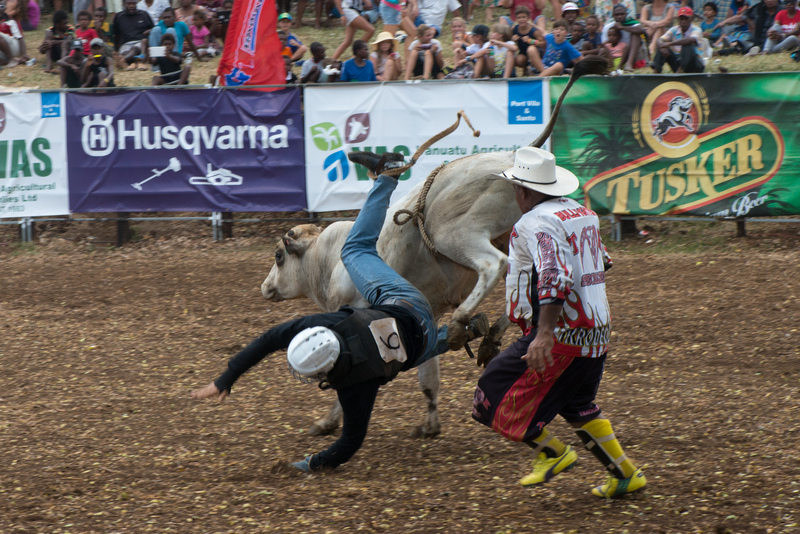 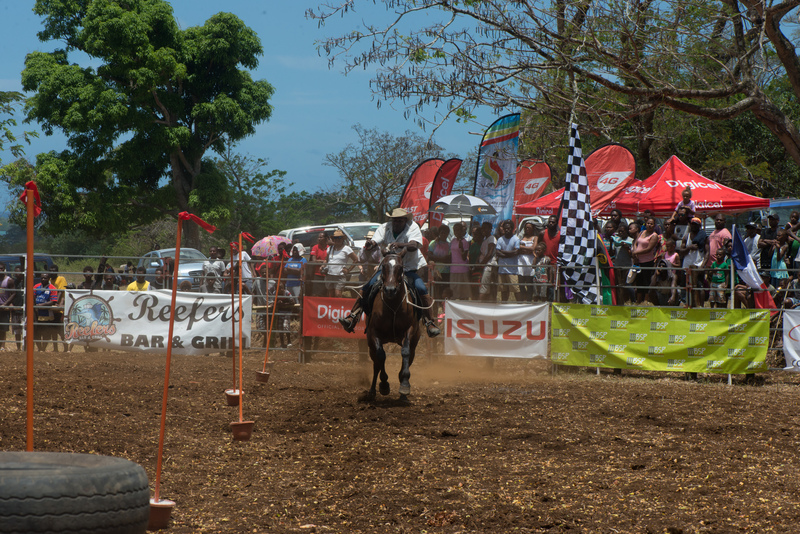 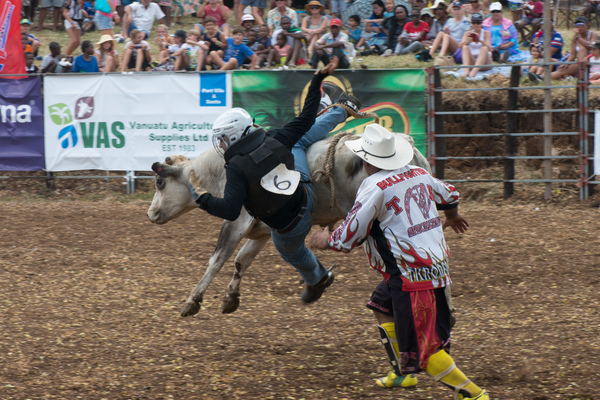 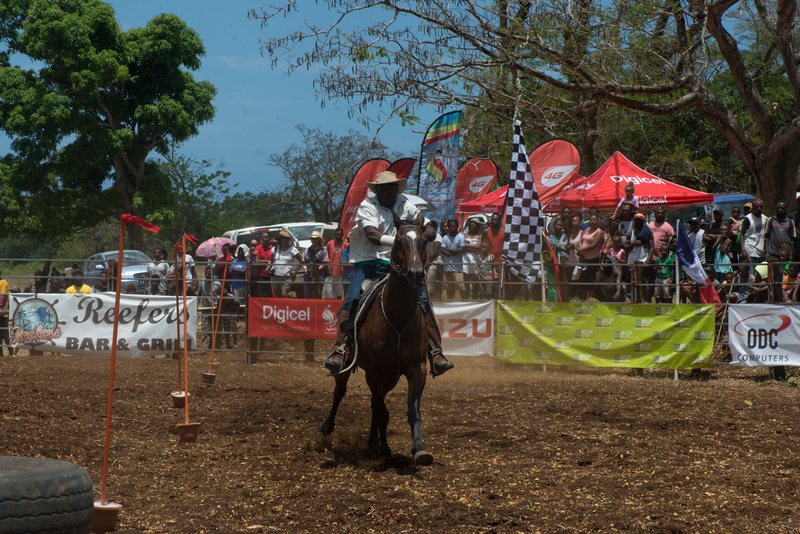 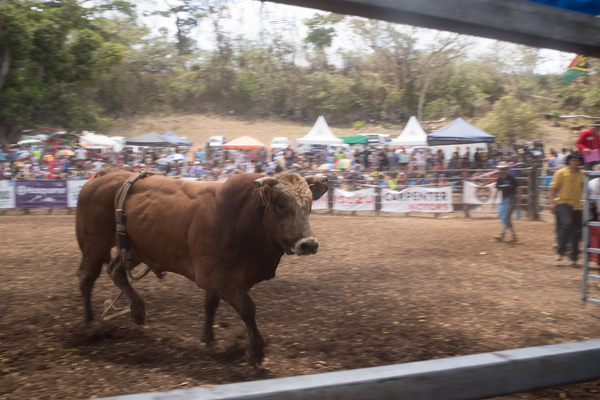 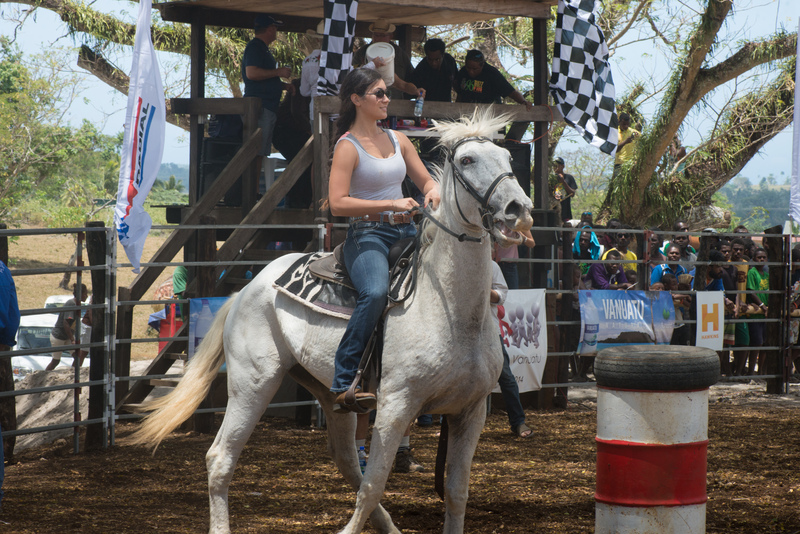 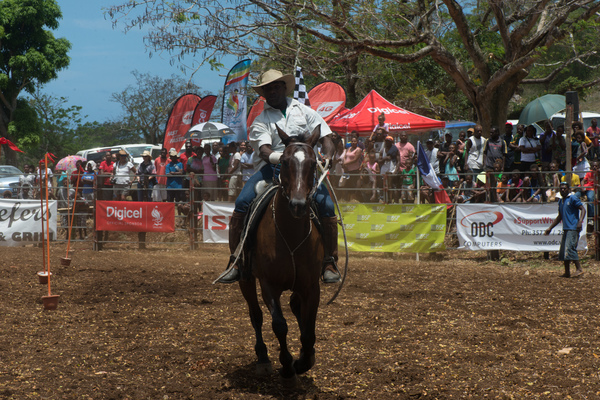 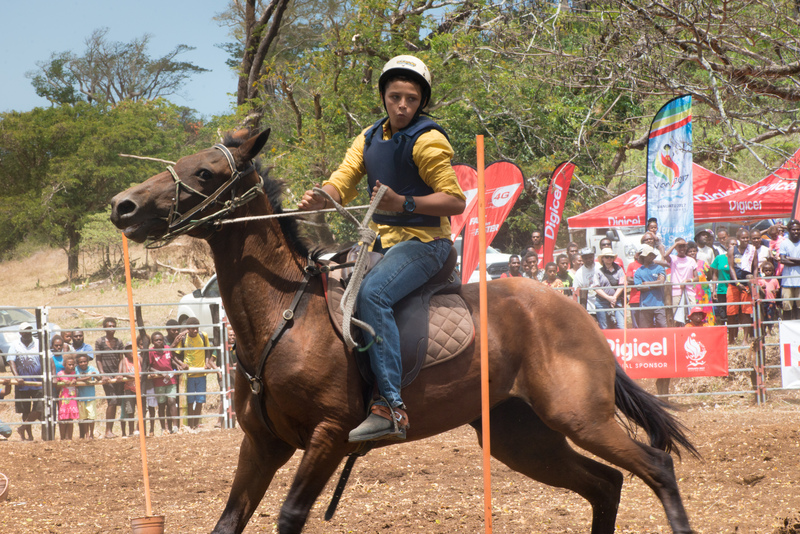 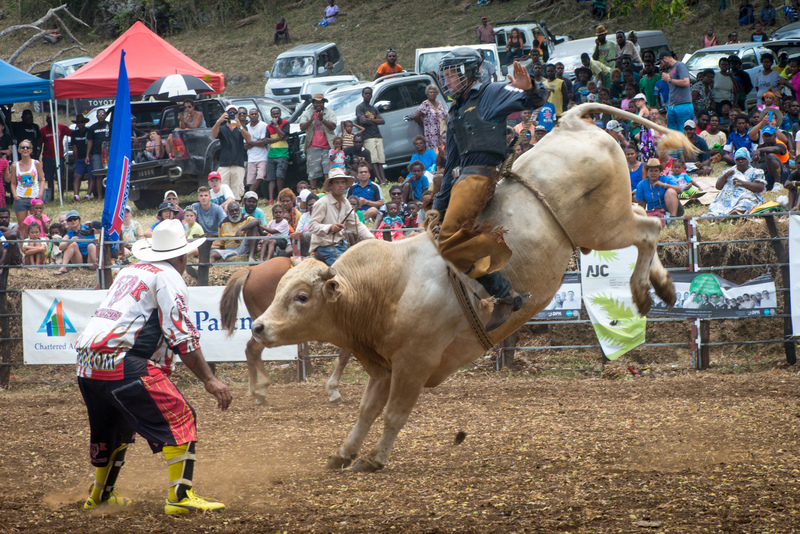 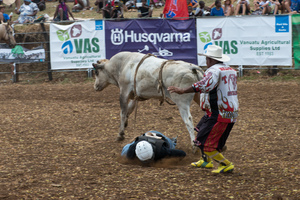 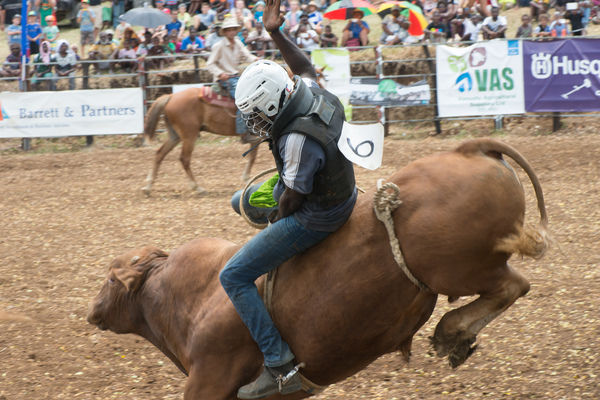 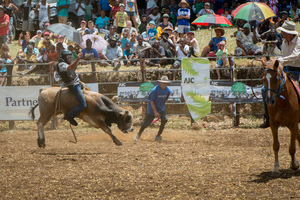 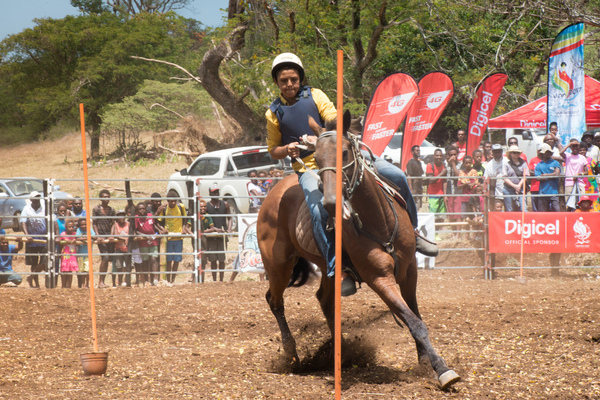 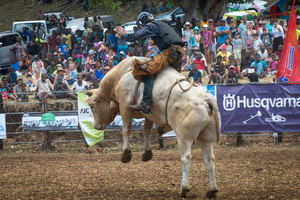 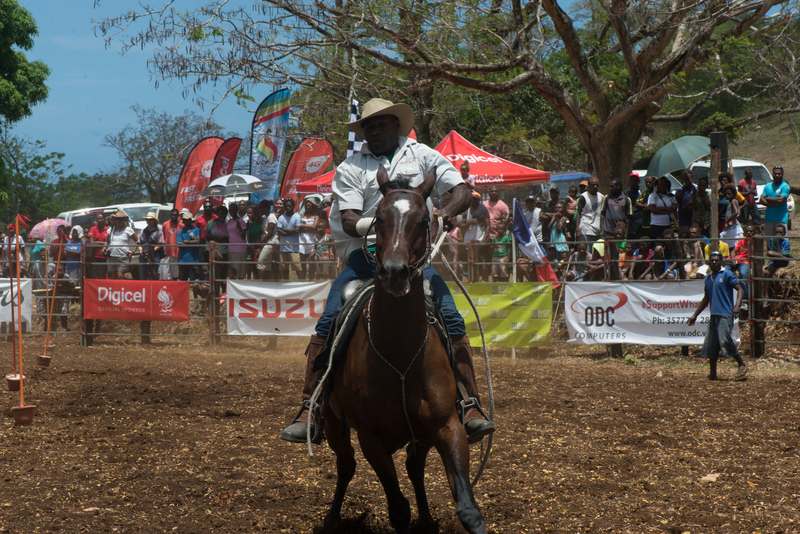 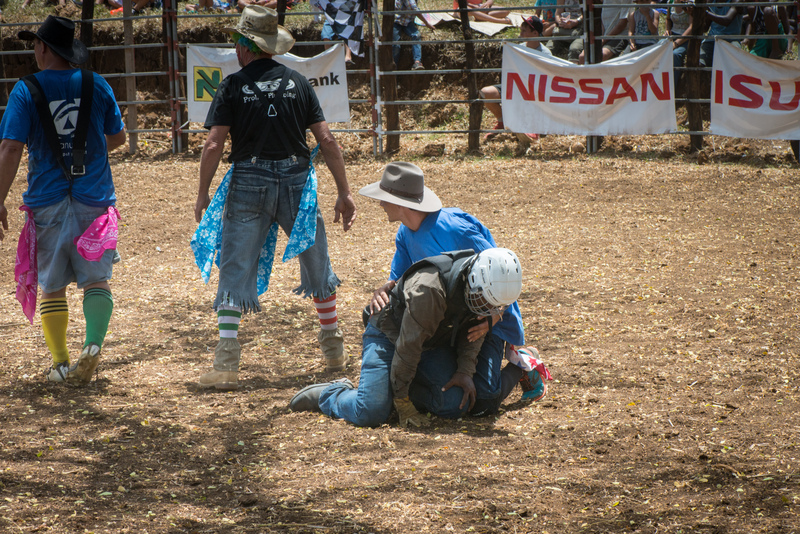 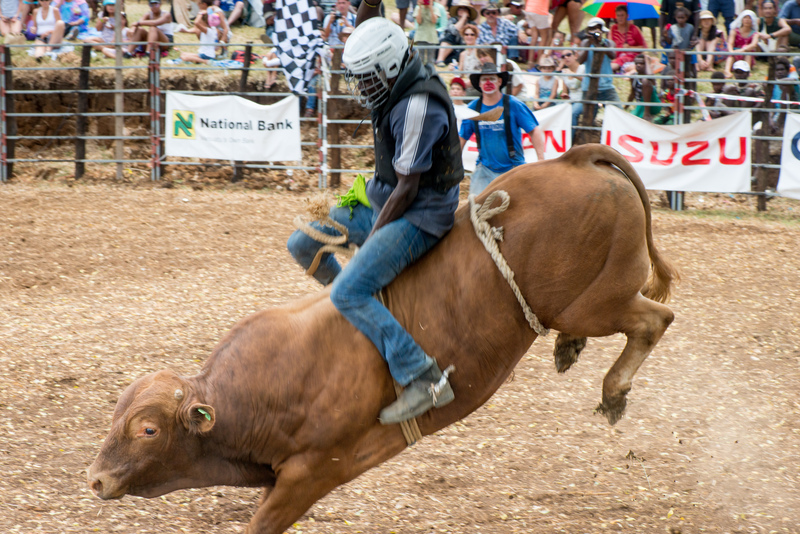 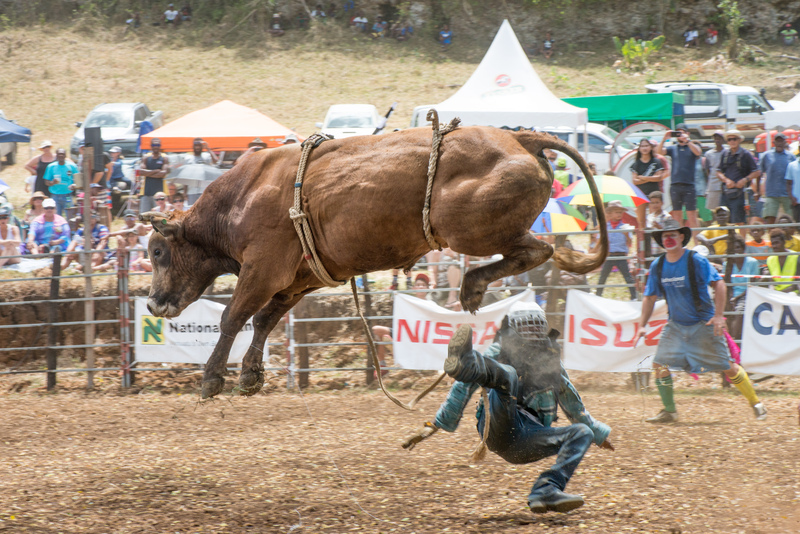 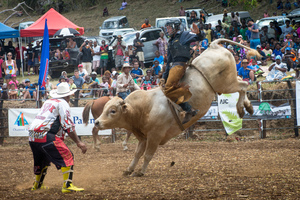 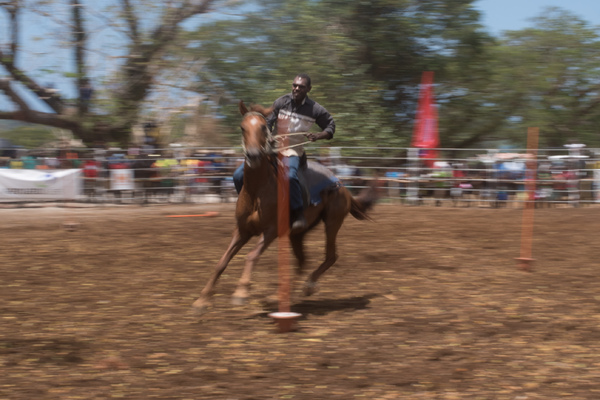 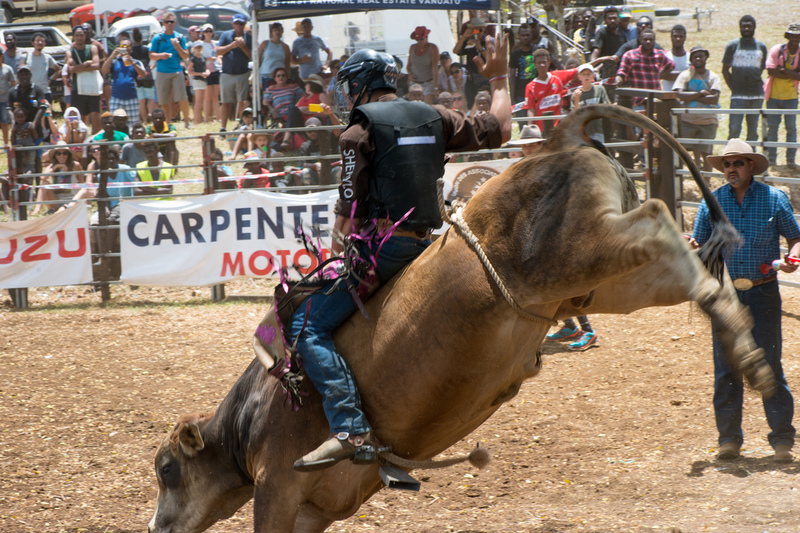 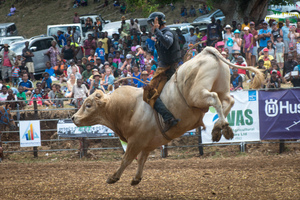 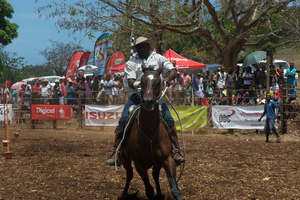 Fun and excitement on the second day of the 2017 edition of the Port Vila Rodeo. 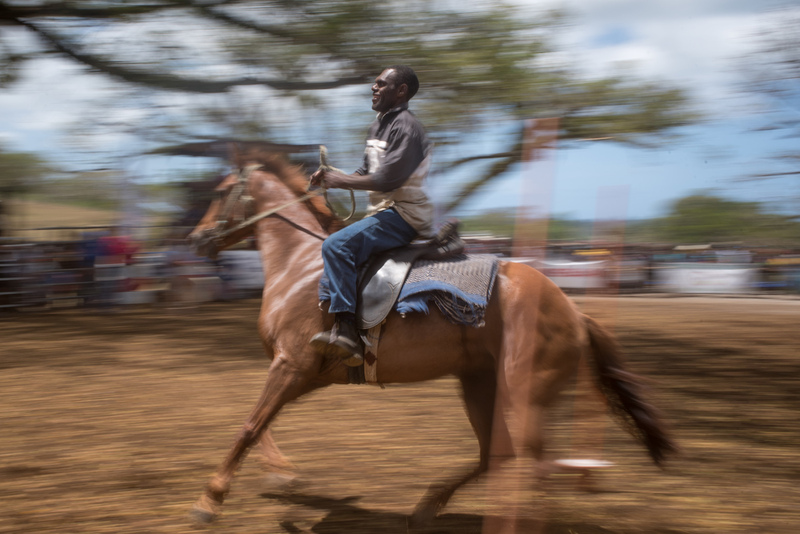 I stupidly left my camera set to 1/4 second exposure. 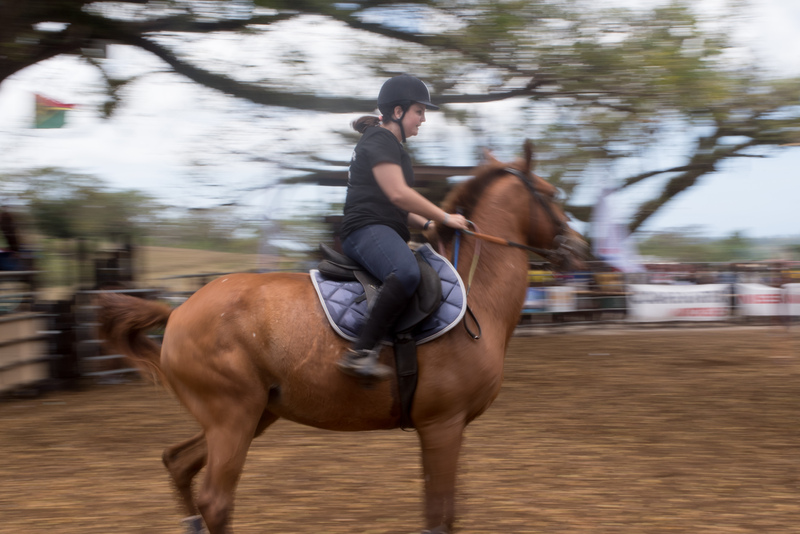 Got a few accidentally interesting shots. 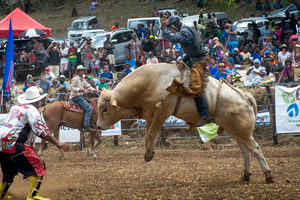 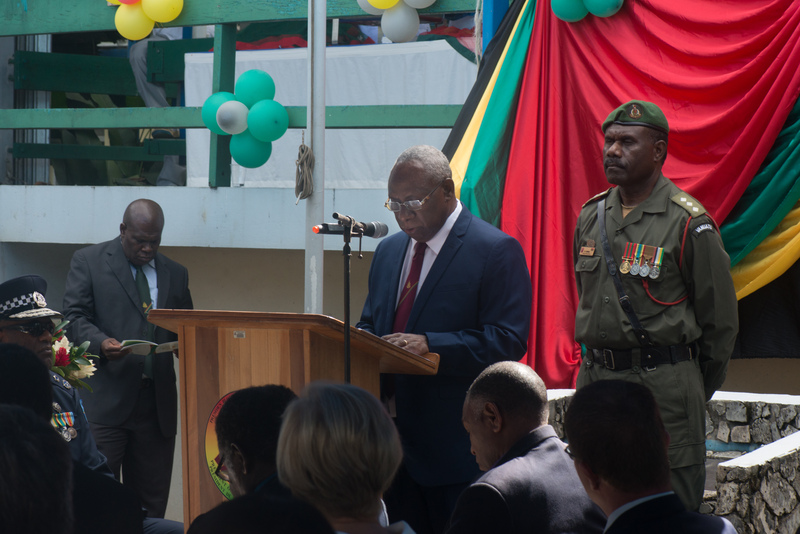 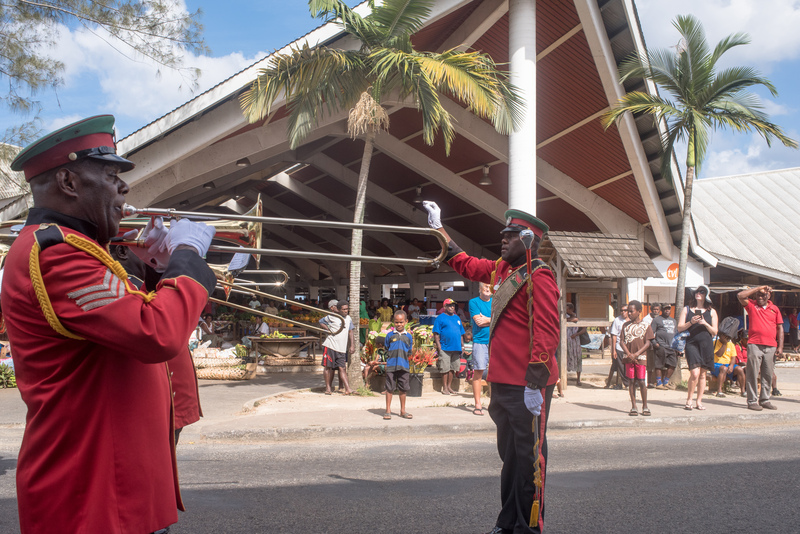 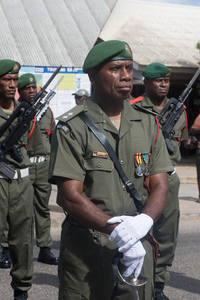 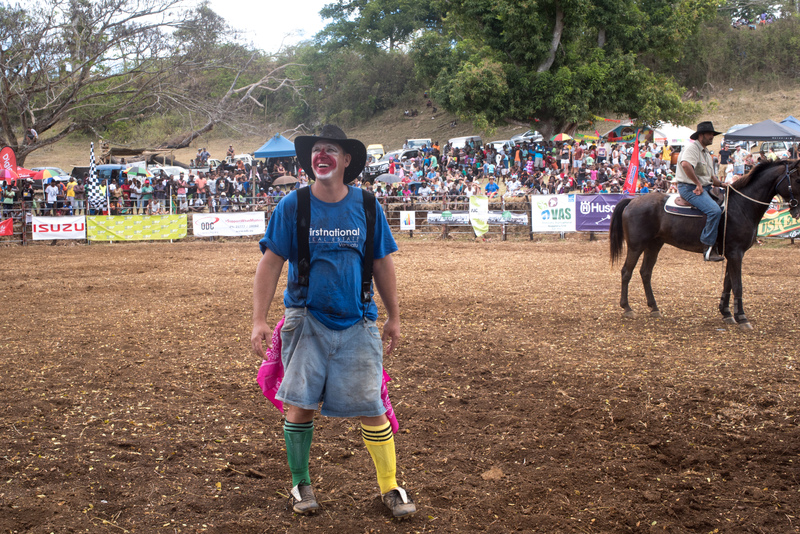 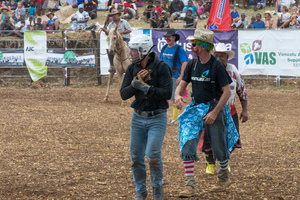 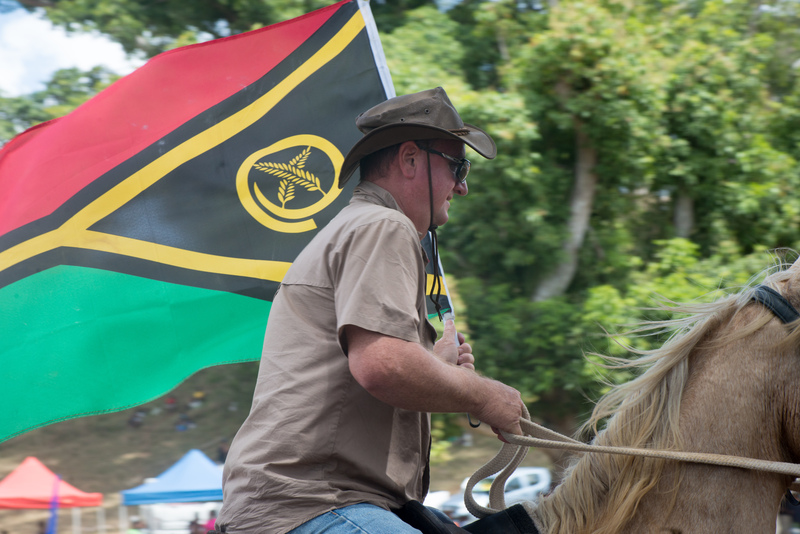 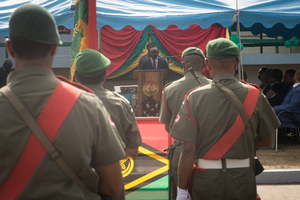 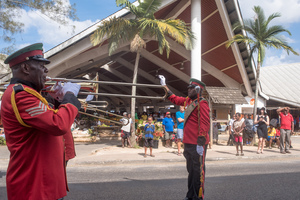 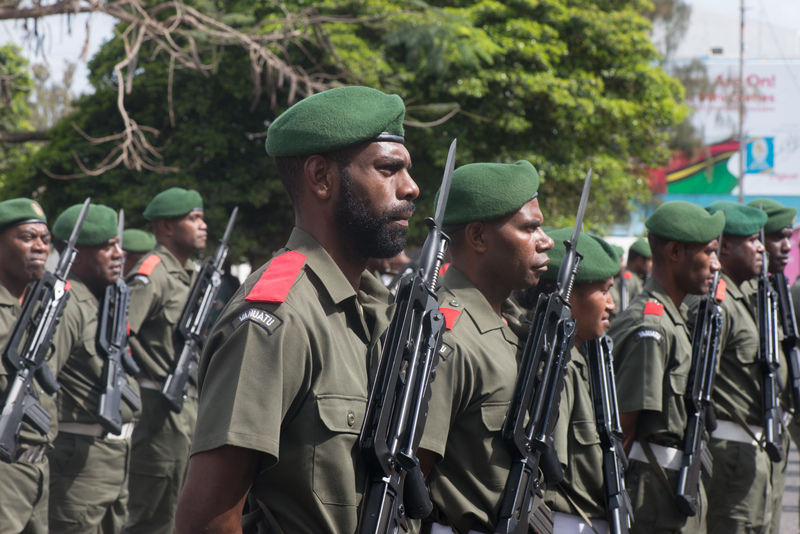 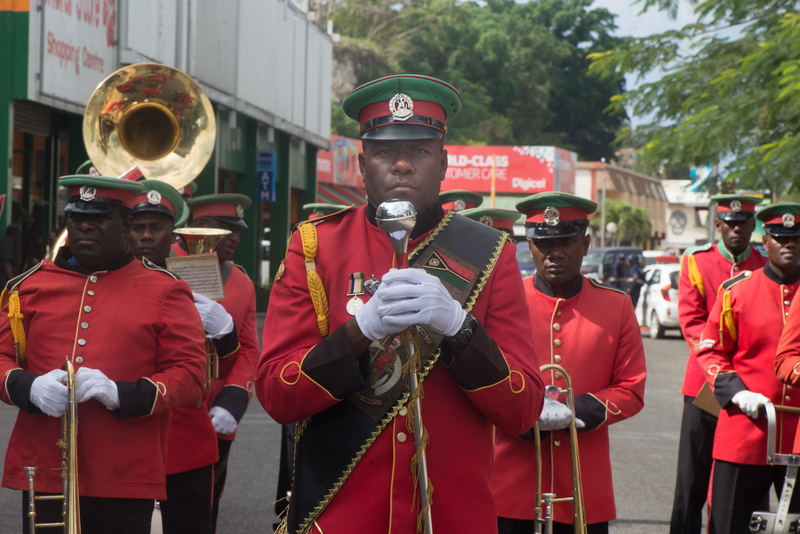 Marco Traverso carries the flag to open the 2017 edition of the Port Vila Rodeo. 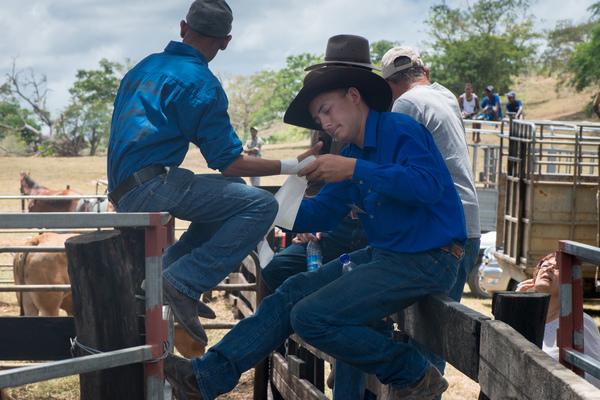 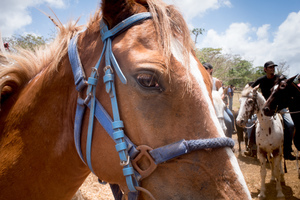 Getting ready for the real work to begin - a bronc rider tapes up. 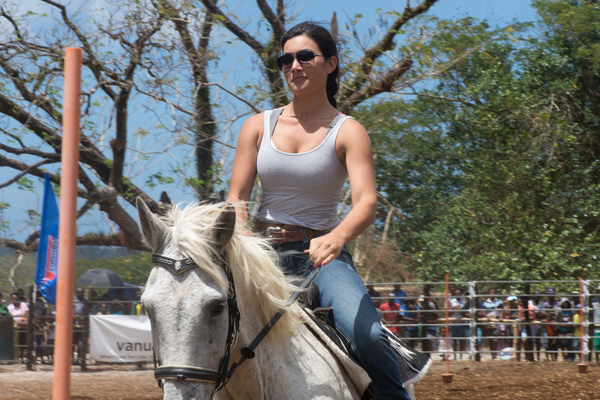 Showing remarkable poise with an unruly horse. 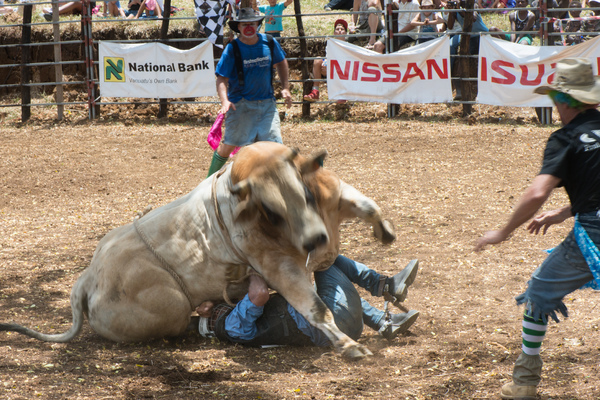 Filling the frame can get a bit risky when large creatures are around.